With all this talk of Battle for Azeroth, it’s sometimes hard to remember that we’re not even done with Legion yet! There’s still another raid tier to go, which means more months of demons, demons, and more demons. That also means there’s plenty of time to get cracking on some long term goals! I’m not sure how you guys operate, but for me, long term goals are my bread and butter. I got the legendary cloak and ring on almost every single one of my characters back when those were in the game, not because I really wanted to kit out those characters, but because I’m a total sucker for long, drop-based quest chains like that. Even when I only get one Abrogator stone per boss. There’s just something so satisfying about ticking off a checkbox on your list. While I haven’t gotten into it as much this expansion (so little time! 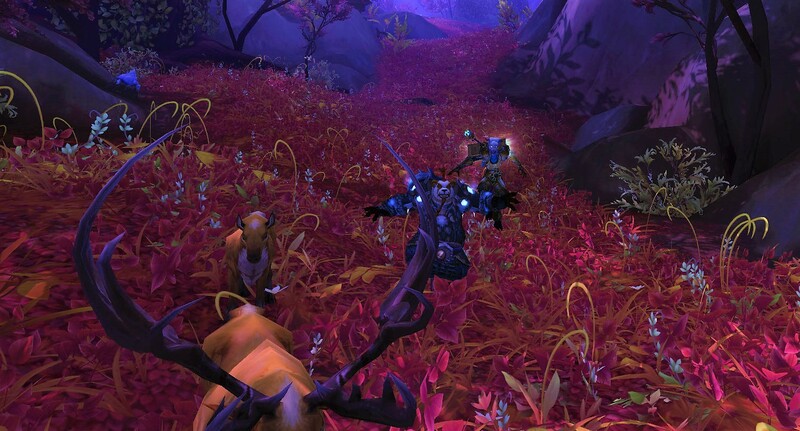 ), the artifact quest chains are perfect for this. I’ve focused pretty heavily on my paladin main this expansion, so most of my alts have barely been played at all. A part of me misses raiding on multiple different characters but my bigger concern here is transmog. I need to make sure I collect as many artifact appearances before they vanish forever with the end of Legion. Luckily, I’ve realized this earlier in the expansion cycle than I usually do, so I should have enough time. 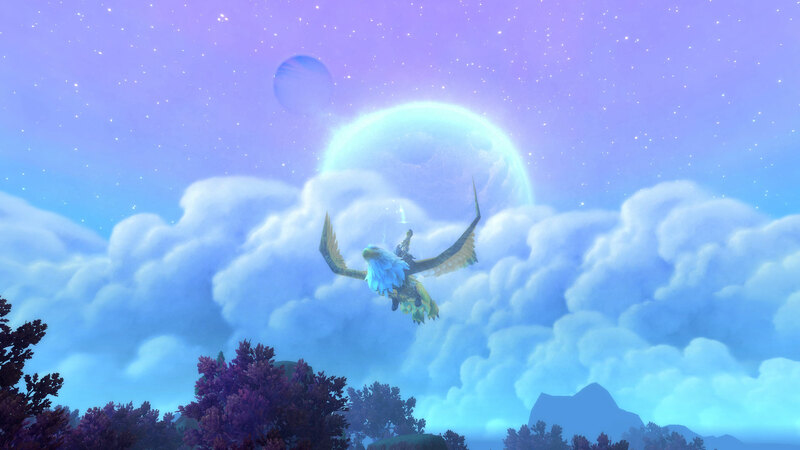 Mercifully, a recent tweet by the Warcraft Devs account clarified that most artifact appearances would still be obtainable in Battle for Azeroth. 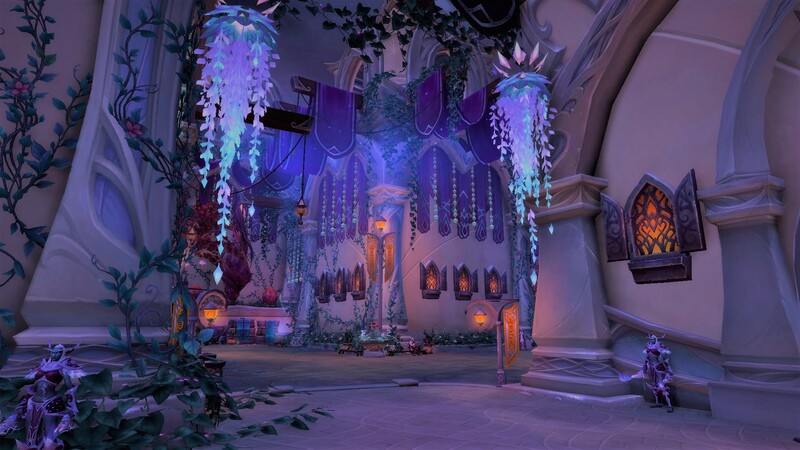 However, the Mage Tower and appearance the Mythic 15 one are going to be vanishing at the end of Legion. I doubt that I’ll be able to get the Mythic appearance on many of my alts, considering my main hasn’t even gotten it yet (I might be a mythic raider, but my mythic + experience is… lacking). However, especially with the gear upgrades coming in Antorus, the Mage Tower should be totally doable. Come to think of it, even though the other appearances won’t be removed, it would probably be a smart thing to do to knock out as many of those now as I can. 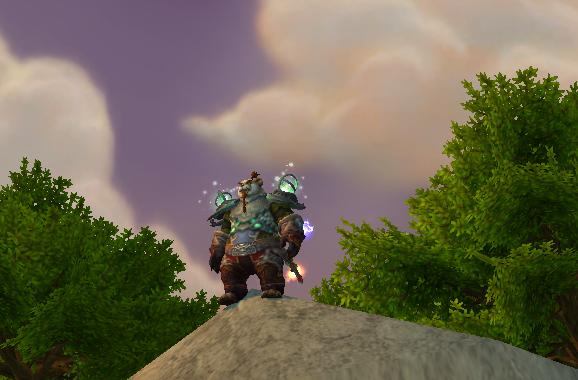 I very rarely go back to old expansions to farm transmog appearances because I am rather lazy. To save Future Me a bit of hassle, I think I’ll grab as many artifact appearances now as I can. And then there’s all the class specific storylines and mounts. I haven’t heard anything about those being removed, but I definitely want to grab those up before the expansion ends as well. The list just keeps piling up and up! Before I add anything more to this, let’s go ahead and write down for the record all of Fussypants’ Legion Goals. -Maybe work the the Prestige appearances? What are your goals for the end of Legion? Any big ticket items you wanna knock out while you’ve still got time? And we are back from hiatus! 2015 is drawing to a close and once again Fussypants and Yotaan are reflecting on their resolutions of the ending year and creating new resolutions for the incoming one. My biggest goal of the year was definitely number one and I am proud to announce that I successfully completed this goal! While there were some close ones, Yotaan and I managed to get a blog post out for every single week of the year that we weren’t on hiatus. Woot woot! Resolution number two was a flop however. I was really into PvP for a while but it petered out before I ever stepped foot into an arena. However, the purpose of this resolution was to expand into different areas of the game and while I didn’t expand into PvP anymore, I definitely expanded way more into the social aspect of the game. So while I didn’t succeed at the initial goal, I succeeded at the spirit of it. Does that count? The Ironman Challenge has been a bit of a mixed bag for me. I’ve totally started it I just haven’t… gotten very far yet. I think I’m level 5? Look, it’s still a work in progress! I’m going to count this one as a success though because I have started the Challenge and there was no completion requirement in my resolution. The last goal on my list was another flop, but not for want of trying. Unfortunately I did not get enough submissions to write up any more posts. That’s alright though, not everything I set out to do I could have completed. All and all, I think I did pretty well with this past year’s resolutions. I had some flops but I also had some exceptional successes. 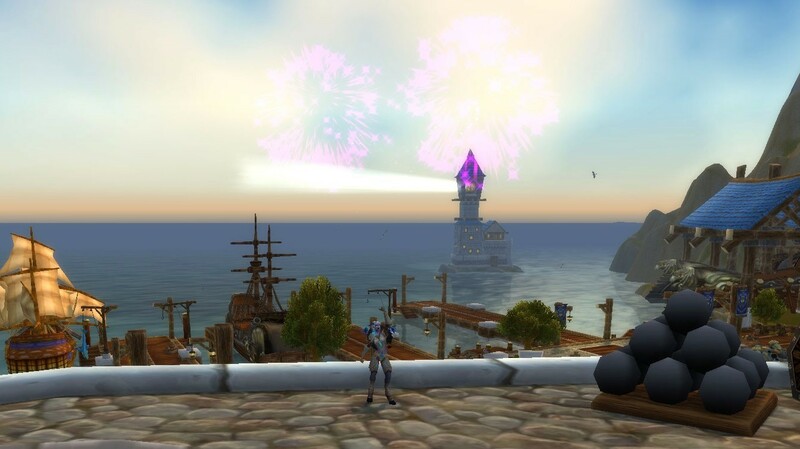 And as I wrote a year ago “I really want to focus on blogging with regularity and trying new things in WoW” and I think I achieved the spirit of my resolutions if not every individual goal.
. Looking back over my year of blogging, I’d also like to acknowledge some of the writing I’ve done this past year. Here are some of my favorite things I’ve written. 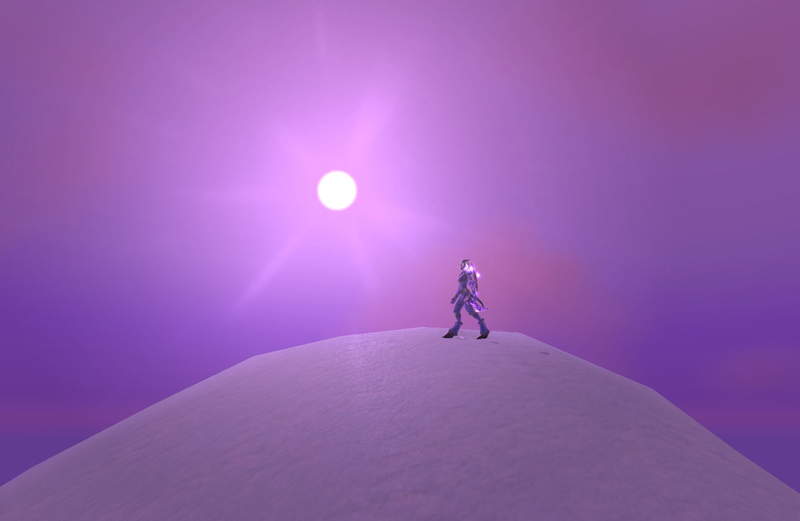 Tin Foil Hat: What is the Light? ~ A tin-foil hat, crazy person, brainstorming theory about how magic works in Azeroth. This was the first time I’d written a speculative piece like this and I’m pleased with the results. What’s to a name? ~ The story of how I got the name of my mage back. I like this piece for two reasons: It involved a very awesome GM and I think what I wrote is still very applicable. Less than Legendary ~ My opinion on the Warlord’s legendary chain. While this piece doesn’t have as much staying power as some of the other ones I’ve written (since it’s about a specific piece of endgame content that will likely be removed) I still think it was a very strong piece. I worked on the article for many months and I think I was able to offer a pretty complete viewpoint because of that. Satire: Stop Catering to the Casuals Blizzard! ~ A satirical piece about Blizzard catering to the casuals in regards to twitter integration. I really enjoyed writing this (and the later satires) since they allowed me to stretch a writing muscle I don’t usually get to use. Also, its just entertaining to poke fun in this way. Bonus article: Fussypants Writes a Horror Story ~ This post was completely un-WoW related but I still enjoyed writing it. A short horror story that I wrote for a school project but decided to post on the blog. Man, reading through all that I wrote is kinda crazy! There’s a lot more there than I thought! And boy, do I put a lot of puns into my writing…. The last thing on my list is to set my goals for this coming year! In 2016 I want to work on writing even more for the blog and completing projects. 1) Post a minimum of 5 blog posts a month. This should work out to be a post every week with an extra post thrown in there every couple of weeks. More writing! 2) Complete all of Heroic Hellfire Citadel, including Archimonde to get me that sweet, sweet moose. 3) Complete the Ironman Challenge. Whether that means I ding level 100 or I die in the process, I want to finish this! 4) Work on my roleplay character and try out some open world RP. I’ve started the toon with a friend but I’d really like to explore roleplaying more. 5) Farm up some of the various transmog sets I’ve built. I have a bad habit of designing tons of different outfits with specific characters in mind and then never getting around to actually wearing them. Not any more! 4) I like the Ironman Challenge! 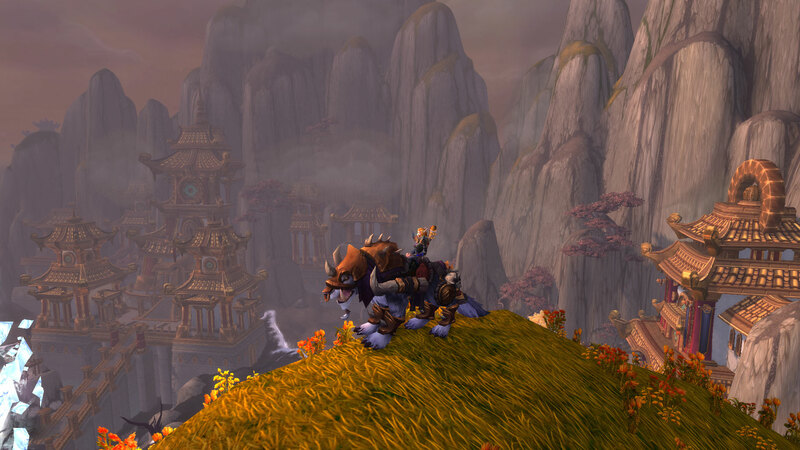 1) By far the best part of Warlords was the leveling experience from 90 to 100 and I enjoyed the story. Yotaan did fall behind Fussypants in the progression, but I was able to follow the main story completely and enjoy the side stories as well. I also leveled a Horde toon as well to get the Horde side. 2) Soooooo, didn’t quite make that one! Yotaan has been collecting tomes now for about 6 months now. He hardly raids, so it has been slow. With Legion far off in 2016, I still think it will happen. 3) I really wanted this one to happen, but life gets busier every year. Yotaan and Fussypants have been very occupied with RL. However, I think the biggest reason that this resolution did not happen is raiding. As you know, Fussypants became quite the raider this year. Yotaan rarely raids, so these very different play styles don’t mesh well for playing together. Hopefully, we can change this for 2016! 4) Ha! Got Fussypants on this one! Currently I am “winning” at the Ironman Challenge. I say “winning” because Bullsmack, a level 21 Tauren druid, is lying facedown somewhere in Ashenvale. He was a victim of a bad pull plus a wandering mob. 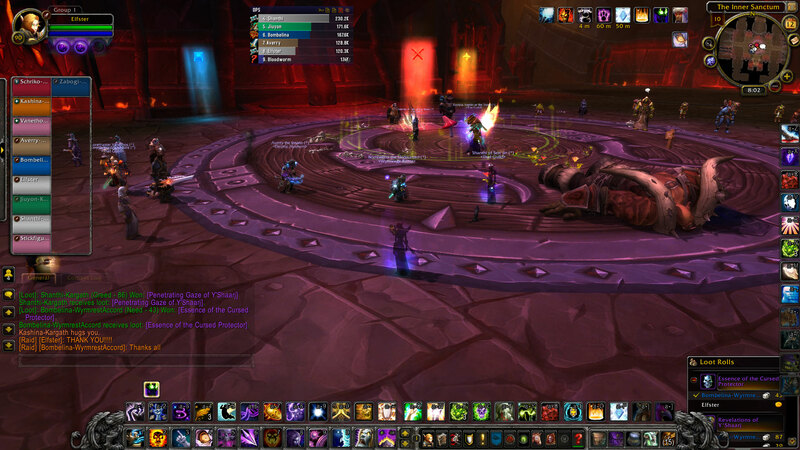 It was a great experience to have a challenge in leveling in WoW. I was surprised at how careful you have to be. I think we will try again once Fussypants gets her act together. 5) I did write more in 2015 than 2014 so nominally I met this resolution. However, I can do a better job. Overall I did not do as well as I would have likely but that’s how resolutions go. I am very proud of how well Fussypants did! Proud Papa! 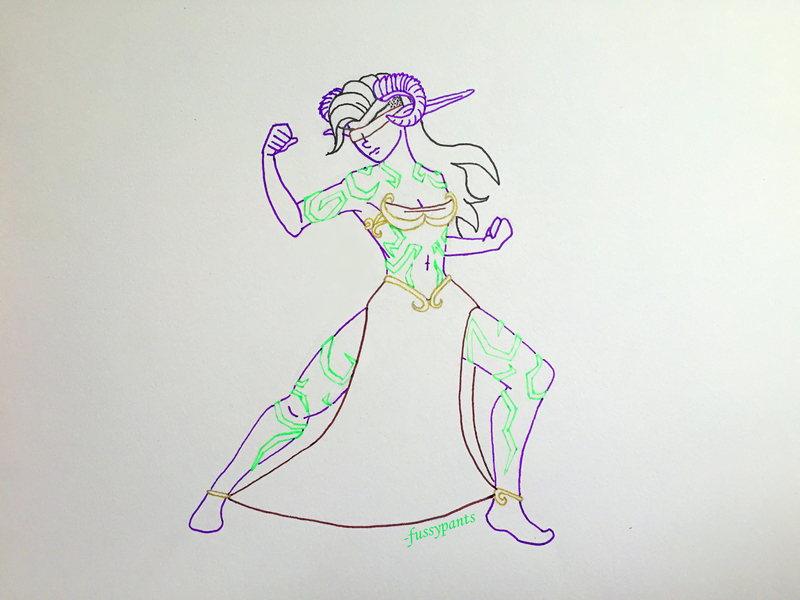 My real favorites are the ones she wrote recounting our discussions such as Another Name Article (Demon Hunter Edition) wherein I create the best name for a demon hunter ever and Next Expansion: Make it Brony wherein the family predicts the next expansion. If I actually had to pick my own writing, then I’m picking Get Off My Virtual Lawn because it was the most honest writing I did. Plus, it garnered some responses, which is rare for my posts. 2) Try again to play with Fussypants more. This is a challenge, especially considering our play styles. 3) Get the Mount Parade achievement. Currently at 153 out of 200 mounts.